When Carla Underwood tells you she’s from Detroit, she knows what you’re thinking. “Detroit really doesn’t look that good. There’s a lot of violence and gangs and drugs,” this 16-year-old from the city’s northwest side explains. Like most Detroiters, Carla has seen firsthand the issues challenging her city: gang violence that keeps Detroit’s murder rate among the highest in the country, neighbors affected by the city shutting off water for those who can’t pay their bills, and education and transportation woes that have students like Carla traveling up to six hours a day, past blocks of abandoned houses, just to get to school. Above: A Detroit resident since she was five years old, Carla takes pride in her city and has developed a fighting spirit that keeps her positive about the Detroit’s future. 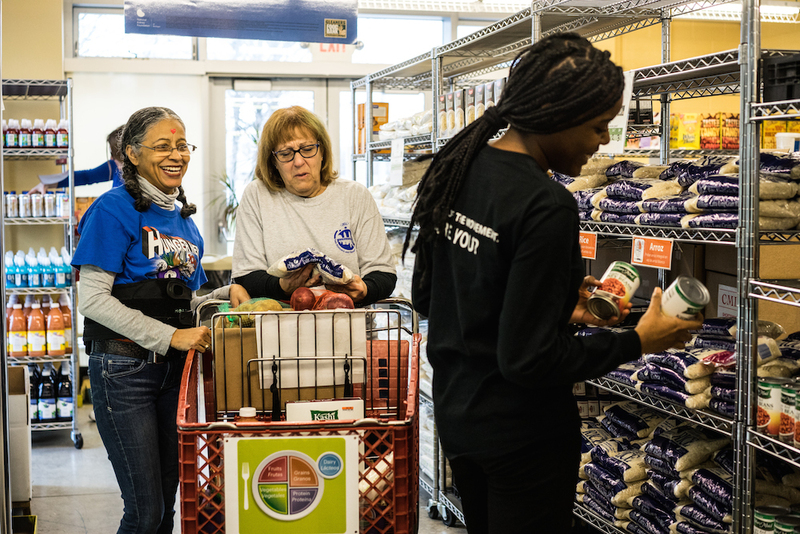 Above: Serving at Mercado, a client choice food pantry in Detroit, Carla helps volunteers to sort the shelves and clients pick out their food. 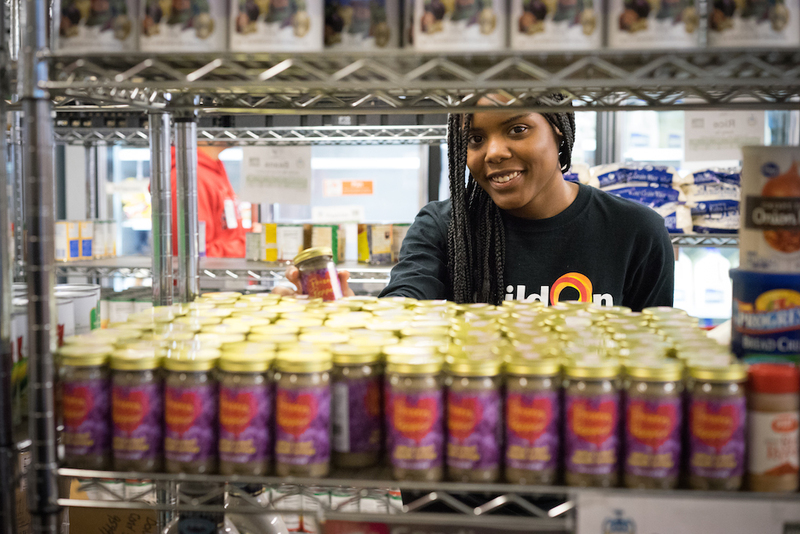 It was during the fall of her sophomore year that Carla went with buildOn to Detroit Rescue Mission Ministries to cook a Thanksgiving meal for the women and children spending the holidays at the shelter. There, Carla met a woman who was staying at the shelter while receiving treatment for an alcohol addiction. The woman opened up about her daughter who was upset with her because she couldn’t be at home while getting treatment. Carla called upon the sense of compassion she had fostered with buildOn and comforted her neighbor in need. “I told her that (people my age like her daughter) are kids and sometimes we only think for ourselves,” Carla remembers, reflecting on the the hour-long conversation that ended with her new friend thanking her over and over again. And with that, Carla decided to put service to her community at the center of her life. Like thousands of other buildOn students across the country, she found that her increasing her civic engagement made her more engaged at school as well. Her grades and attendance started to improve, but she still had a ways to go academically. And then, in the summer of 2016, something happened that shifted Carla’s entire worldview — she was selected to go on Trek with buildOn to construct a school in Haiti. 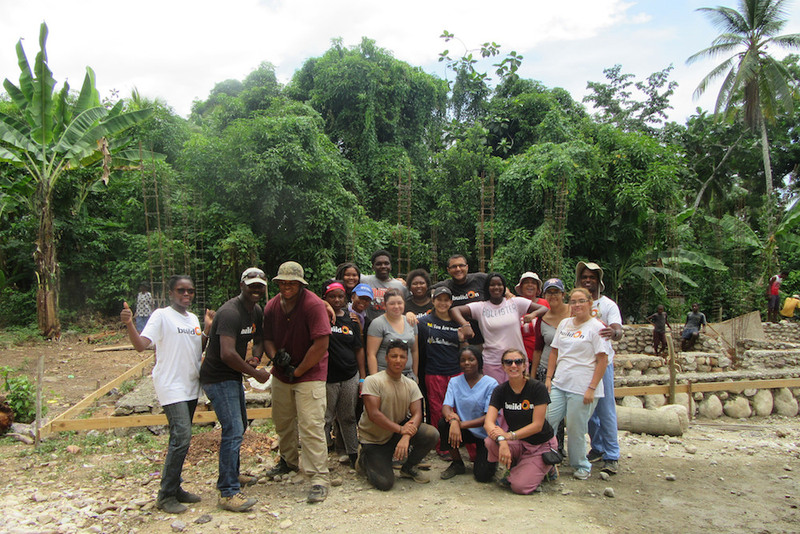 Above: Carla (wearing a blue shirt and kneeling in the front row) poses for a picture on the school building site in Haiti with the other buildOn students from Detroit. Carla learned that, like Detroit, Haiti is a place that many have written off because of problems that seem too big and complex to solve. The economically poorest country in the West Hemisphere, 80 percent of Haiti’s population lives under the poverty line. Life in Haiti has also been made much more difficult by recent national disasters — a 7.0 earthquake killed hundreds of thousands of people in 2010, and Hurricane Matthew left hundreds of thousands of people in urgent need of food and shelter in October 2016. Carla’s experience on Trek did more than reinvigorate her academically, it also reinforced that she has the power to change her own life and the lives of others. On the worksite in Lestage, Carla stood sweating in a line of Detroit students and villagers as they passed rocks to fill the school’s foundation, when she saw a young girl watching the line and eager to help. Rather than ignore the girl as others were doing, Carla took action — she invited the girl to join the service and watched as her face lit up. 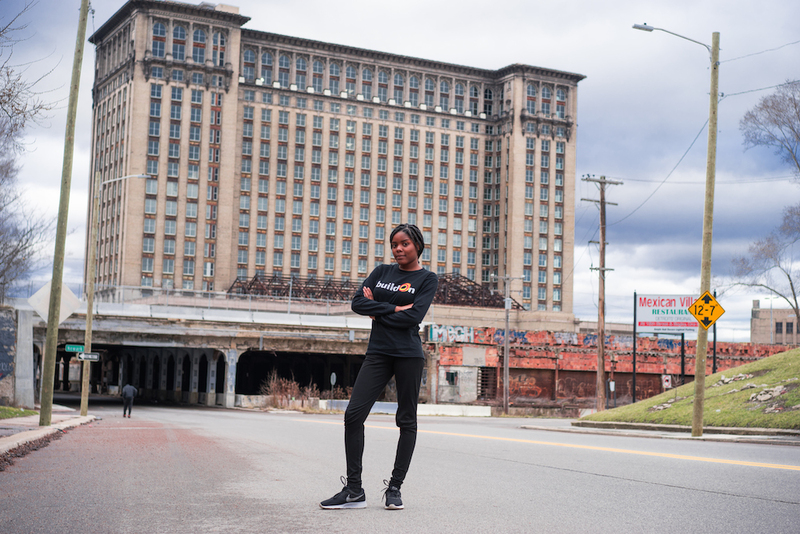 Carla gave her a chance to be of service when no one else would — just as she remembers buildOn doing for herself back in Detroit when she wanted to help but saw no way to really change her own community. Not long after Carla invited the young girl into the line and began passing her rocks, other members of the community followed suit. 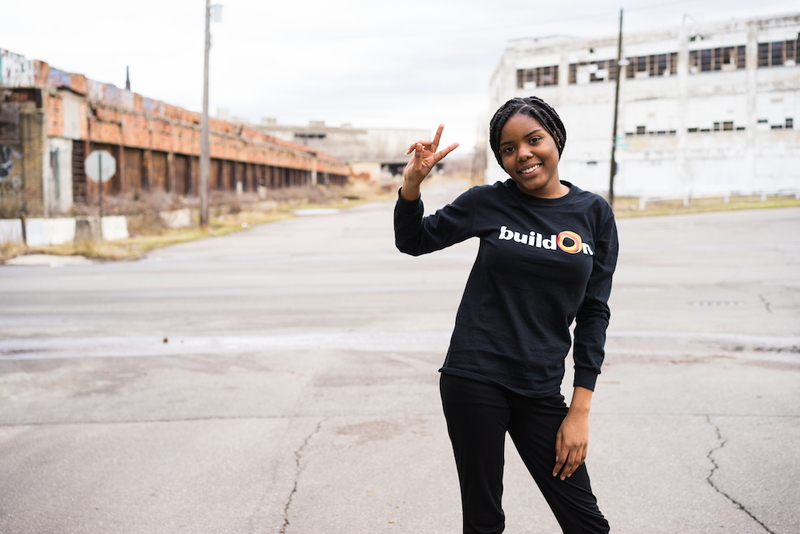 Above: Since joining buildOn, Carla has served over 300 hours and seen a dramatic change in her grades at school. But today, because of her buildOn experience, Carla sees service and education as the keys to changing her city, herself and her world for the better.